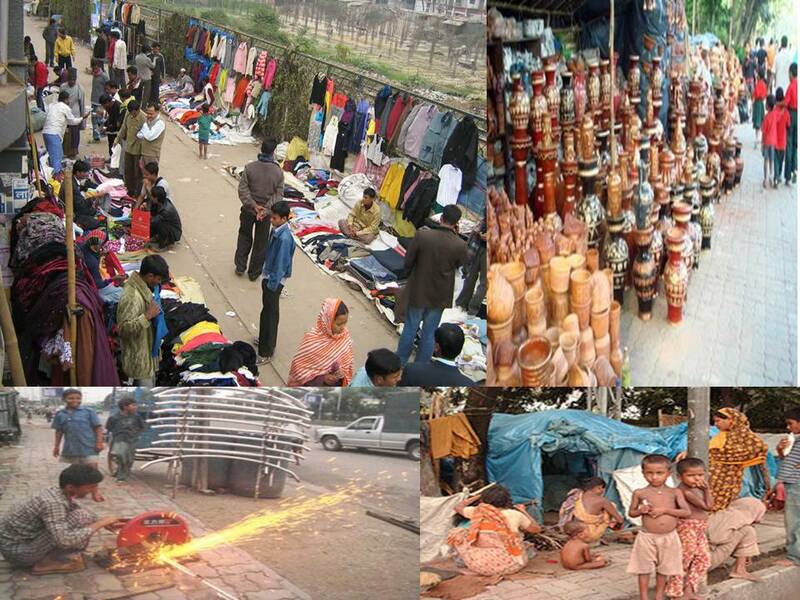 Dhaka City: Where Are We Walking?? There are lots of road around our city and also have their footpath. This foot path is made for walking the public. But it is very sorry to see that footpath is now a place of business. Lots of people are dealing with this activity. In this picture we see Hawkers are selling their product in the footpath. There is no place for walking. We also see people are doing very risky task which can create problem to the passerby.